A-Moonless-Night's Gaming Blog: I did more things! Today's entry is brought to you by the inspirational Bloodstone and Diamonds by Machine Head and every song Amon Amarth has ever made. Don't be too alarmed, but I've made some maps. Like, actual progress. 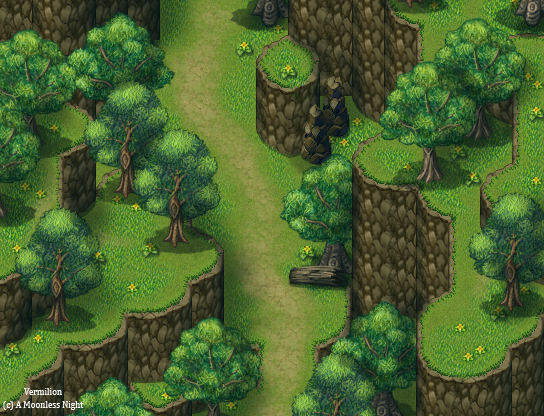 I've made six (big) maps in total so far and redone the cliff tiles in three of my previous maps, because I realised that the tiles I was using were really pixelated, and I never understood why they looked kinda weird. Here's a screenshot so you know I'm not lying. ... and after! I personally think it looks way better. 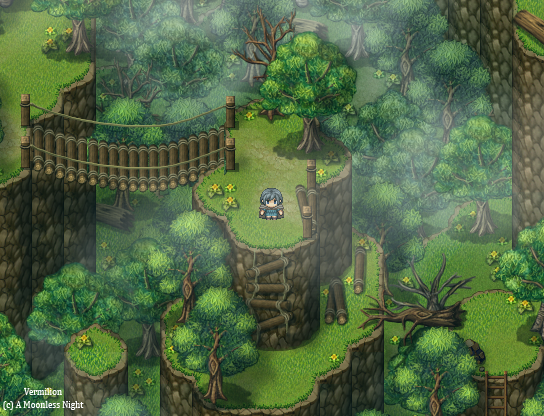 I know people like those Hanzo Kimura cliff tiles, but I like Celianna's better; they fit with the VX painterly style, whereas the pixelated tiles don't. 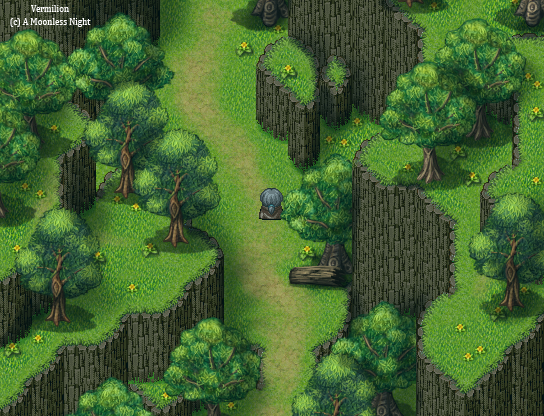 I'll also be going through some more maps and updating the cliff tiles, but it takes time. I fixed all the ones for Koruna Pass, and I just need to go through and fix Roe and Roe Forest. I also figured out how to make fogs work (hint: I found a script), which is the reason why I ragequit in November 2013, so I'm pretty friggin' chuffed about that. I love it when things work out for me. Part of the Koruna Pass; it's supposed to look like the bridge collapsed and someone's MacGyvered a new path. There's just a few more maps to finish the Koruna Pass, and then I can start on the Koruna Temple, which means I've almost finished all the maps I need for the first demo. Exciting times, folks. Do not take this to mean that you'll get a demo anytime soon, though, haha.